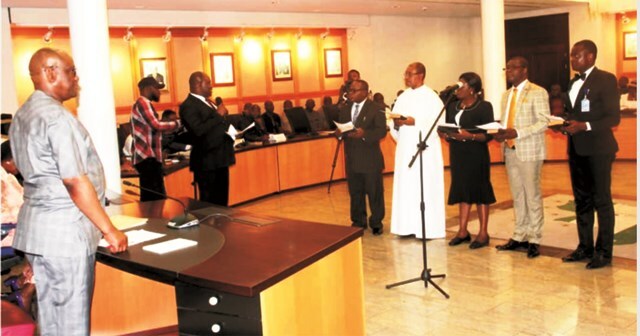 Rivers State Governor, Chief Nyesom Wike (left), inaugurating the two Judicial Commissions of Inquiry into 2019 Electoral Violence and Invasion of State Judiciary Complex at Government House, Port Harcourt, yesterday. The Rivers State Government has placed a ban on all public protests in the state with immediate effect. A statement issued in Port Harcourt yesterday by the state Commissioner for Information and Communications, Barr. Emma Okah, directed security agencies in the state to enforce the ban and ensure that members of the public maintain peace and order. He said the ban remains in force till further notice. This is coming on the heels of several protests in the state by different groups since the suspension of the electoral process in the state by the Independent National Electoral Commission (INEC). Meanwhile, Rivers women from the 23 local government areas of the state have called on the Independent National Electoral Commission (INEC) to conclude the collation process for the Governorship election, and declare Governor Nyesom Wike duly re-elected. They also demanded that the Resident Electoral Commissioner of INEC in Rivers State, Mr Obo Effanga be allowed to conclude the collation process, since he conducted the 2019 general election. The Rivers women were dressed in white to signify peace and their commitment to the peaceful conclusion of the 2019 general election. The women, who embarked on a peaceful march to the state Headquarters of the Nigeria Police Force on Moscow Road and the Department of State Services (DSS) on Forces Avenue in Port Harcourt, warned the Nigerian Army to stop forthwith the intimidation of Rivers people. The women, who were in their thousands, held placards with the following inscriptions: “Amaechi you cannot be governor for a third term “, “Nigerian Army should stop intimidating Rivers people”, “Leave Rivers REC alone”, and “INEC must conclude collation of Rivers Governorship Election results”. The women also stated that the former Rivers State Governor, Chibuike Rotimi Amaechi cannot govern the state for an illegal third term through the back door. They stated that they overwhelmingly voted for Wike in across the state, and in most cases, they stayed at the collation centres to defend their votes, despite the threats by personnel of the Nigerian Army and F-SARS. Leader of Rivers Women, Mrs Ukel Oyaghiri said that the process of collation and declaration of results must be concluded as unnecessary delay is no longer appreciated. “We want our results to be declared. We don’t want further delays. The state is at a standstill because of the non-release of our results. This delay is becoming dangerous. “The Resident Electoral Commissioner, Obo Effanga should be allowed to conclude the collation process. He was the one who conducted the elections. This is a process that should be concluded by him”, Oyaghiri said. She urged the police to stand with the people by joining them to defend the votes of Rivers people, adding that the votes of Rivers people must count and there should be no further delay. Another Rivers women leader, Chinyeru Agbaru noted that all results in the custody of INEC should be collated and declared. She stated that there is no reason for the Resident Electoral Commissioner to be redeployed as being canvassed by the APC in Rivers State. Also speaking, Women Leader of Rivers PDP, Mrs Victoria Allison appreciated the police for stopping the Nigerian Army’s invasion of the Rivers State Governorship Collation Centre on March 10. Allison said that Rivers women were dressed in white to show that they support the peaceful conclusion of the 2019 general election. She said that Rivers State successfully held the Governorship election and the votes of the people must count. 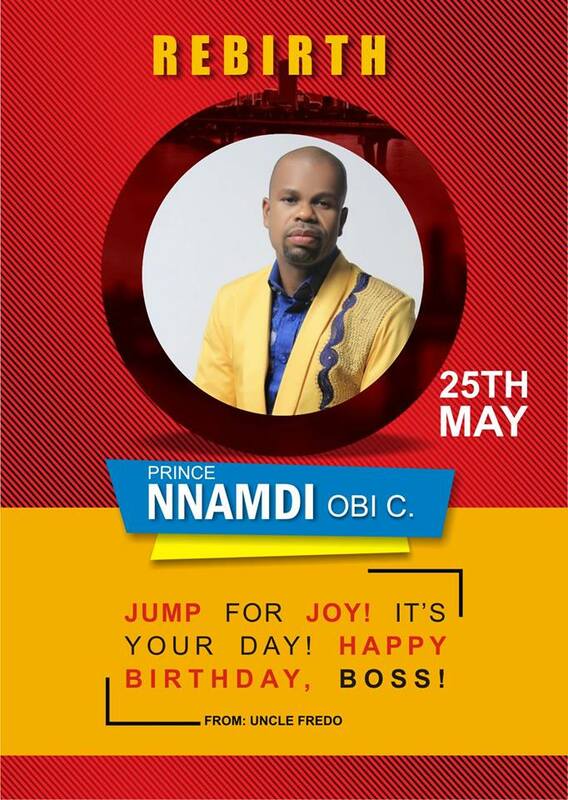 A female youth leader, Soibi Ibibo-Jack said that Wike has won the election and should be declared winner by INEC. She warned the police against disrupting the Governorship collation exercise as currently being rumoured, stressing that the police are under obligation to be neutral. Jack said that those calling for the transfer of the Resident Electoral Commissioner were doing so because he refused to be compromised, insisting that he should be allowed to complete the collation. Responding on behalf of the Rivers State Police Command, Assistant Commissioner of Police, Betty Otimeye, said the message of Rivers women would be passed to the appropriate authorities for action to be taken. At the DSS Headquarters in Port Harcourt, Rivers women said that they demand action on the declaration of all collated results within scheduled period. Meanwhile, the Rivers State chapter of the Peoples Democratic Party (PDP) has raised an alarm over alleged plot by the Independent National Electoral Commission (INEC) to move the collation centre for the governorship election from Hotel Presidential, Port Harcourt, to an undisclosed location. It said the commission was planning to do so at the behest of African Action Congress (AAC) and some extraneous forces. The state Chairman of the party, Bro Felix Obuah, said the party has it on good authority that INEC was acceding to the demands of a political party and some forces hell bent on scuttling the outcome of the March 9 election and setting the state on fire. Obuah warned INEC not to allow itself to be used to precipitate constitutional crisis in the state. However, reacting to the allegation, INEC washed its hands off any plot to change the collation centre. Meanwhile, INEC has assured it is going ahead with the planned collation of results of March 9 governorship election in Rivers State from April 2. INEC’s National Commissioner in charge of Information and Voter Education, Festus Okoye, reacting to a petition by the African Action Congress (AAC) in which the party asked the commission to shelve plans to collate results of the governorship election in Rivers State, dismissed such request as inappropriate. He said no political party can stop it from carrying out its constitutional responsibility. Insisting that no party can order the commission around, Okoye said there is no changing of plans in the April 2 collation of results decision. 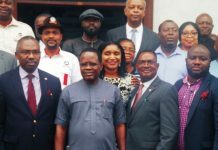 It would be recalled that the AAC governorship candidate in Rivers State, Biokpomabo Awara, had last Tuesday, told newsmen in Abuja that he had submitted a petition to INEC, demanding the stoppage of the collation of the governorship election results scheduled to kick off on April 2. Rather than go ahead with the collation of the results, he urged INEC to conduct a fresh governorship election in Rivers. Awara’s AAC is backed by the Minister of Transportation, Chibuike Amaechi and a faction of the All Progressives Congress (APC) in the state. The deputy governorship candidate of the party, Akpo Bomba Yeeh, last weekend, resigned his membership of the party and joined the PDP. 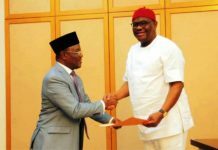 Just last Wednesday, the deputy chairman of the AAC, Prince Amezhinim Atuma also resigned his membership of the party and decamped to the PDP. In the same vein, thousands of leaders and members of 85 registered political parties, yesterday, marched through the streets of Port Harcourt, celebrating the re-election of Governor Nyesom Wike in the March 9 governorship election. They also urged INEC to diligently conclude the official collation and declaration of the state governorship election results. 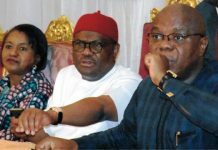 Leaders and members of the registered political parties, who gathered under the aegis of Inter-Party Advisory Council (IPAC), at the Isaac Boro Park, in Port Harcourt, at about 7:30a.m., declared that the peace walk was aimed at telling the world that Rivers people, irrespective of political affiliations, voted overwhelmingly for governor Wike on March 9. They sang pro-Wike songs as they marched through the streets, insisting that on no account should the votes of Rivers people be manipulated. Also, IPAC passed a vote of confidence in the INEC Resident Electoral Commissioner (REC) in Rivers, Obo Effanga. The protesters displayed several placards indicating their preference for governor Wike, and the need for the collation process to be concluded as outlined in the timelines of INEC. 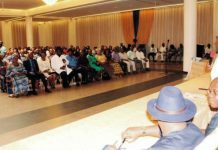 In his address, IPAC Chairman in Rivers State, Precious Baridoo, said the political parties were calling on INEC to continue with the collation and declaration of the governorship election results. 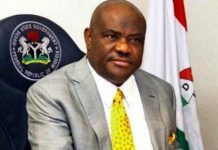 In a related development, thousands of leaders and members of 85 registered political parties, last Wednesday, marched through the streets of Port Harcourt, celebrating the re-election of Rivers State Governor, Chief Nyesom Wike while urging the Independent National Electoral Commission (INEC) to diligently conclude the official collation and declaration of the state Governorship Election results. 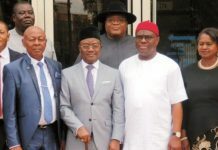 The leaders and members of the registered political parties, who gathered under the aegis of Inter-Party Advisory Council (IPAC) at the Isaac Boro Park in Port Harcourt by 7. 30am, declared that the peace walk was aimed at telling the world that Rivers people, irrespective of political affiliation, voted overwhelmingly for the Peoples Democratic Party (PDP) on March 9, 2019. They sang pro-Nyesom Wike songs as they marched through the streets, insisting that on no account should the votes of Rivers people be manipulated. They passed a vote of confidence on the INEC Resident Electoral Commissioner in Rivers State, Obo Effanga. The Rivers people on peaceful march displayed several placards indicating their preference for Wike and the need for the collation process to be concluded as outlined in the timelines of INEC. Some of the placards read: “Army Stop Disrupting the Collation Process in Rivers State”, “Army Please Allow INEC Conclude the Collation Process”, “Rivers People Overwhelmingly Voted for Governor Wike on March 9”, “We Shall Continue to Defend our Votes” and “Obo Effanga is a Professional and we are confident in his capacity to deliver”. Other placards read: “Amaechi leave Rivers State Alone”, “Federal Might has failed woefully in Rivers State”, “Prosecute Major General Jamil Sarham for attempting to rob Rivers Mandate” and “We condemn APC elders for their illegal letter to President Muhammadu Buhari”. In his address, Chairman of IPAC Rivers State, Sir Precious Baridoo, said that the political parties were calling on INEC to continue with the collation and declaration of the Governorship election results. Baridoo said: “Let the election process continue in Rivers State. We are telling INEC to follow through with the process. We condemn in totality, the calls by a few persons for the removal of the Resident Electoral Commissioner, Obo Effanga. We want him to continue and conclude his job”. He said: “INEC process is constitutional and must be allowed to take place. It should be done normally for the peaceful co-existence of Rivers State”. Also speaking, immediate past Chairman of IPAC Rivers State and Chairman, Independent Democrats (ID), Pastor Samuel Ihunwo, said Rivers people no longer want the militarisation of the polity because Rivers people were slaughtered by soldiers on March 9, 2019 because some persons wanted to rig the elections. He reiterated the position of the 86 registered political parties that Rivers people want the Resident Electoral Commissioner, Obo Effanga, to conclude the 2019 Governorship election collation process. “Effanga is a professional and should be allowed to conclude the process. We condemn the few APC elders who want to place the state in jeopardy while their children are studying abroad. We urge the President to ignore their letter”, he said. He said Rivers people have voted for Wike and their votes will count as the collation process was brought to a logical conclusion. Responding on behalf of the Rivers State Police Command, Assistant Commissioner of Police, Victor Erewere commended the members of IPAC for their peaceful conduct. He said that he would convey their message to the appropriate authorities for necessary action. They also re-affirmed their position that the Resident Electoral Commissioner in Rivers State be allowed to conclude the collation process.